The Smithfield Police Explorers Post 17 is seeking donations through gofundme.com. 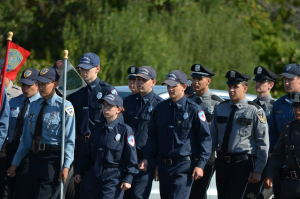 The Smithfield Police Department’s Law Enforcement Explorer Program is truly special. Not only do the young men and women of our program have a strong interest in learning more about the law enforcement profession, they also understand how important it is to be active in the community. It is our hope that this fundraiser will generate enough funds to: a) provide each and every Explorer, who has shown their dedication to the program and the Town of Smithfield, with a full uniform; b) cover the cost of training attire, equipment, Explorer Academy tuition, and other expenses directly associated with the program.